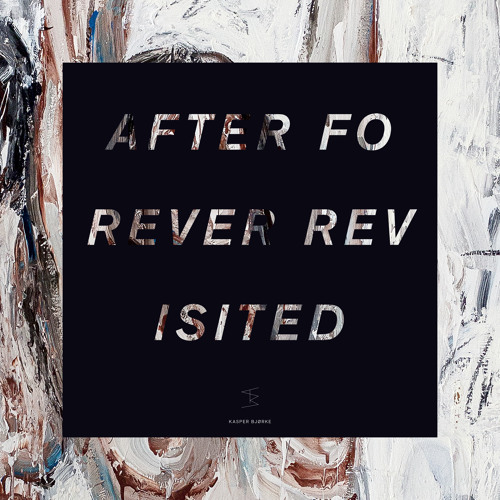 taken off "Kasper Bjørke - After Forever Revisited" presale: http://hfn.lnk.to/AfterForeverRevisited ___________________________________________________ www.facebook.com/hfnmusic www.youtube.com/user/hfnmusicTV www.twitter.com/hfn_music www.hfn-music.tumblr.com www.hfn-music.com www.facebook.com/kasperbjorke ___________________________________________________ full release info: Having marked a dramatic departure into fresh musical territory - a serendipitous voyage through synth pop, disco noir, cosmic Krautrock and New Wave - Kasper Bjørke's 4th studio album 'After Forever' now returns in a sparkling new guise, each track tweaked, fine-tuned and reinterpreted in all manner of invigorating ways. Justly recognised for the care he takes in seeking out original collaborators, Bjørke dishes up an anthology that is qualitatively different from a standard remix package, jam-packed with imagination, verve and unexpected twists. Pink Skull set the tone, taking 'Rush' into spooky, spaced-out zones, the vocals floating hauntingly above analogue squelches and acid-tinged bumps. Hot on their heels, DFA-affiliated duo A/JUS/TED extract a dark, moody bass line from 'Sylvia', shrouding Cæcilie Trier's Sade-esque vocal in echo and drone. Colder heralds his welcome return from a ten-year hiatus by casting 'Marbled Blood' in a Lynchian haze - disconcertingly yet deliciously strange - while Superpitcher takes 'TNR' in a downtempo direction, replete with surging synth pulses and a haunting picked guitar motif. From there on in, there's no dropping off in standards. Bryan Kessler transforms 'Grit' into a clockwork machine of strobing guitars and brutal bass stabs. Deo & Z-Man magic up a lush, arpeggiated Balearic classic from 'Lies' and Matt Karmil transforms the cold wave of 'Into Smithereens' into a no holds barred exercise in pulsing repetition. Bringing it home, Michael Mayer amps up 'Apart' for the deepest big room dancefloors, Disco Halal label boss Moscoman hones in on the dreamy, melodic heart of 'Forever' and Phillip Lauer brings his brother Jacob into the fold for the 'Hotel Lauer' version of 'Titan'. With its featherweight congas and spirit of playful fun, it's a five-star experience and a more than fitting place to kick back and relax after a bewitching tour of planet Bjørke.